**UPDATED - This post has been revised to clarify registration dates. 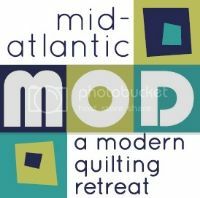 Early registration is currently available or will be available by this Tuesday, October 8th (depending on which guild you belong to) to those Philly MQG, DC MQG, and Central Jersey MQG members who completed the pre-registration questionnaire several months ago. Each of the three guilds above will distribute information on how to register directly to their members. Please contact your officers if you have any questions. Registration will open to the general public on November 1, 2013. Please check back here on November 1 for registration details. If there are more interested individuals than spots available, we will start a short wait list.